As we lead up to the Easter weekend, let’s see what we have in store! Please do let me know if these spreads are helpful for you – I really do enjoy doing them. So let’s get on with this week’s cards. First, you will need to focus on the cards, and let your intuition guide you to the one which is relevant for you this week. 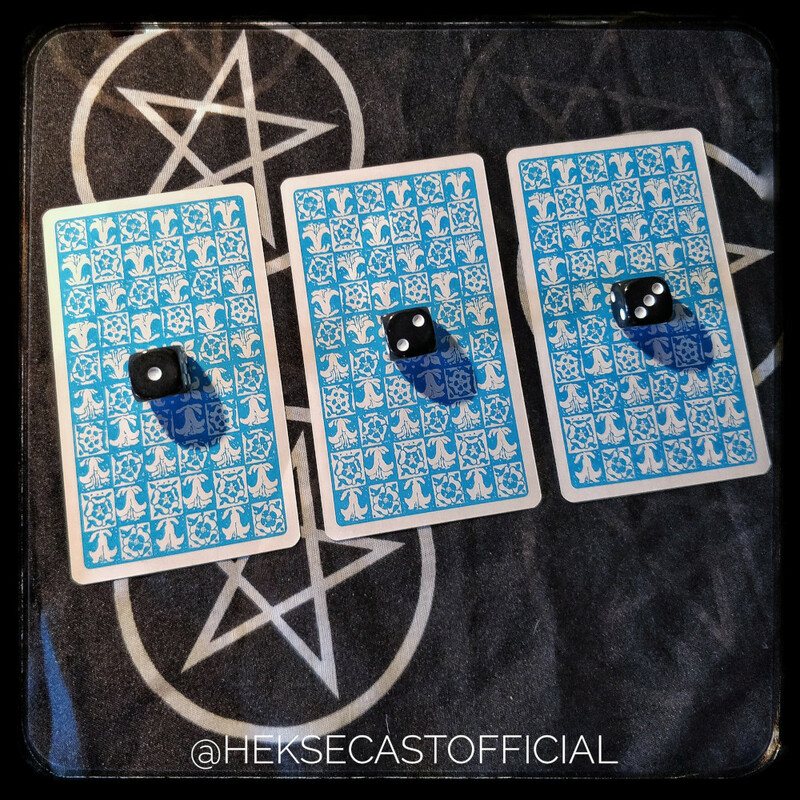 Here are the three cards. Focus, see which one feels most relevant to you. Further down in the article we will be discussing each card in turn and what it can mean or imply. 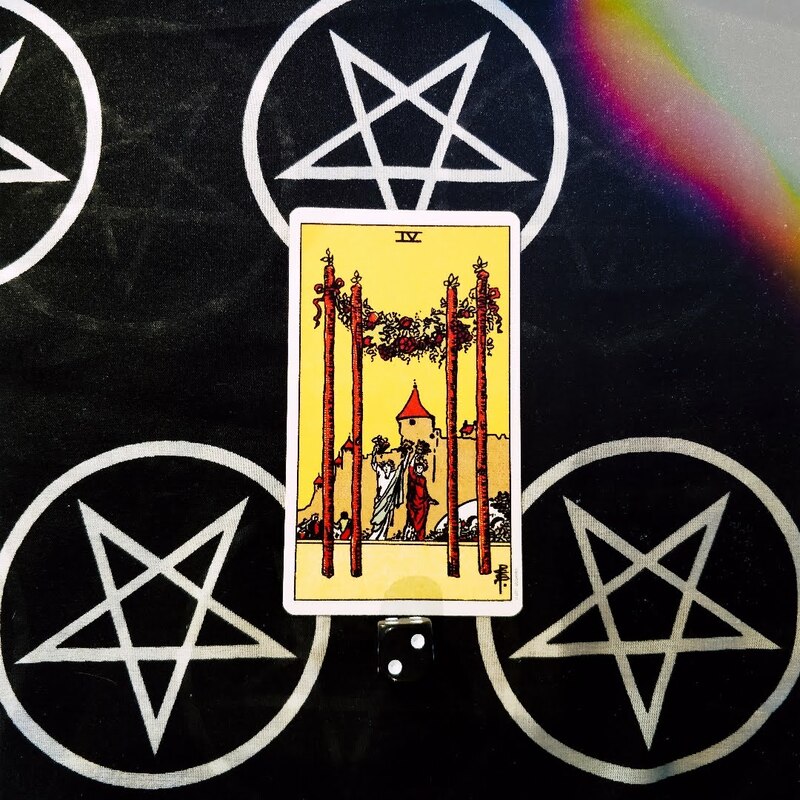 There are many tarot spreads available for you to choose from, and many decks nowadays have their own spreads they have created based around their theme. This deck is simply the Rider Waite deck, which many people will know or have seen. This is a more simplistic set, which is great when you are starting to learn tarot. I started with a highly decorated set, and it was very difficult to start learning with! So if you have chosen your card, let’s get onto the reveal and what they mean! This week’s most popular card was extremely close. Just one point separated number one from number three. However, number three was the most popular with the most points. 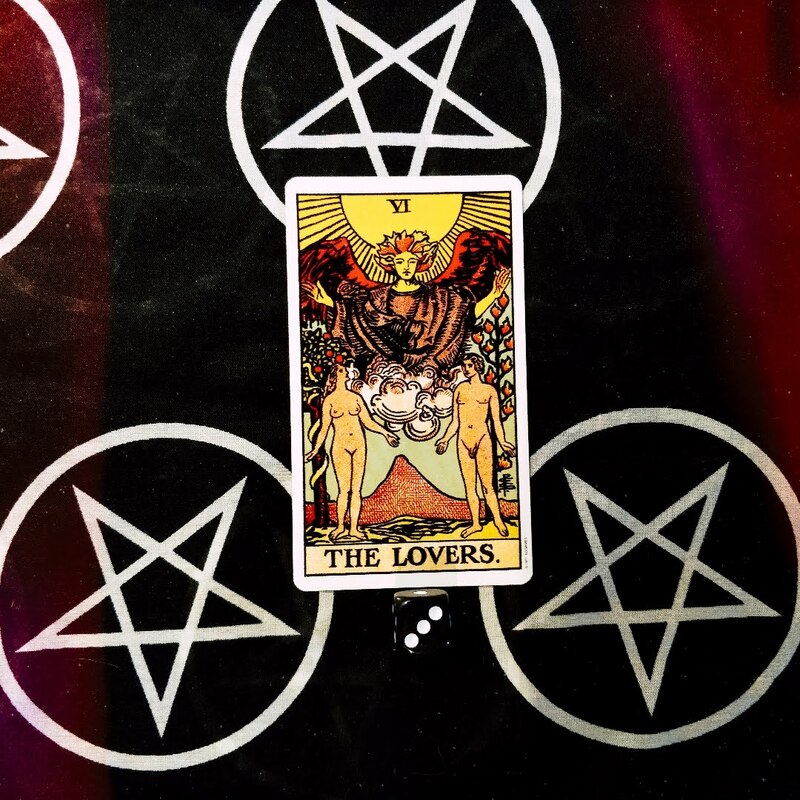 The Lovers is a card with the base meaning of some kind of connection between people, and communication. This card may appear when you have found your soul mate or a life partner. It’s not only restricted to romantic relationships, however, as this can also signify other relationships like friendship and family. Symbolising raw honesty through the nakedness of the man and woman depicted on the card, this is a time to get back down to the core and be honest with yourself and with others. This can also be read as having found someone you can be your true, naked self around with no shame or misunderstandings. The direction this card goes can be related to honesty, being true to yourself and situations which may arise, as well as being honest with others. It’s figuring out what you want from a situation or from life in general. It’s a cue to be more authentic and real in situations – you no longer need the mask. At the very root of the card, this signifies a choice. It could be a choice in your love life, or perhaps a choice as to what you want to be in your career or where to live your life. It’s often a sign that you’re facing a moral dilemma and you must consider all consequences before making a decision or acting. It can also signify that you are unifying dual forces. Pulling things together in a unified way. So looking at this as a weekly forecast, I would say the best thing to do is to really look at who is closest to you, put your heads together and overcome whatever it is that is challenging you, either individually or as a collective. The Queen of Cups is a very beautiful card indeed. She’s sitting right next to the sea, and the element of water which is also related to emotions. She has a cup in her hands, but this one is closed compared to many others in the deck which are open or flowing. This shows that she uses her inner wisdom and feelings as judges of situations. She is connected to her emotions, but as her feet are resting on the shore, she is not overwhelmed by them. She is in control of her feelings and emotions and is very calm and serene. 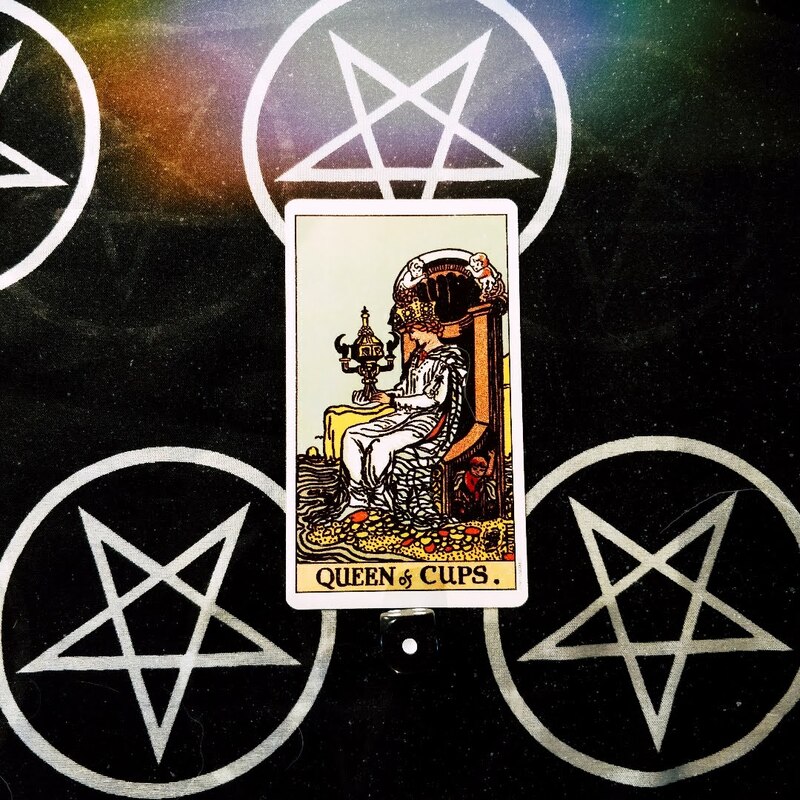 This week may be a week to embody the queen of cups and use your empathy to listen to what others have to say. There may be someone close to you who needs an ear to listen or even a shoulder to cry on, and it is important that you can offer that to them. Being able to read and understand situations around you is a virtue gifted by this queen. You may well already be a healer or some kind of therapist – or just a great friend who allows people the space to express themselves freely. It also may be a time to listen to your ‘inner voice’ in regards to what is going on in your life. This is a card with so many positive attributes. It can signify success on something you are working towards, it can be a homecoming of sorts, whether physical or metaphorical, it is a celebration of all that has led to this point. You may be returning home to the people or places you feel most comfortable with. It could be the completion of a renovation you have done on your home or just the feeling of having found your own habitat – where you thrive and you are doing so well. This card is very much focused on the home environment and taking a pause to see just how far you’ve come. If you have been working on a project, it may be that you are about to hit a key milestone along the way. If you are almost finished with a project, this can signify that the project was completed successfully. Now is the time for celebration and joy! It is so important that we measure our success and sit back and look at what we have achieved – and this card prompts you to do just that. Rest after a long project is so important, especially if the whole task is not complete yet! Storming ahead and carrying on after shouldering a large responsibility can be a grave mistake. Recognising our achievements and celebrating with those we love is important and a vital part of human life. Overall, the energies of this week are focused very much on being in tune with ourselves and our relationships, celebrating our achievements and working together to attain goals. That does not sound like the worst week at all! Which card were you most drawn to, and how do you feel about it? Let us know!